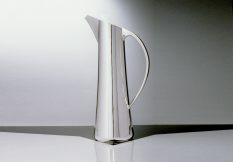 This is my earliest design for a Claret Jug and seems to have become a classic, perhaps because it has a satisfying weight, balance and feel. 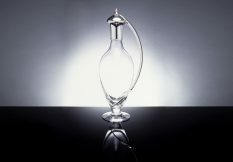 The clarity of the Full English Crystal body of this jug perfectly displays the wine's colour whilst leaving plenty of breathing space. 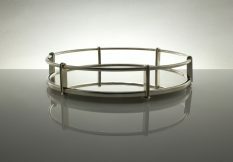 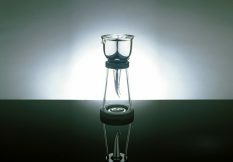 The hinged, concave lid remains closed while pouring and the intricate, stirrup-shaped form of the handle holds the crystal body safe and secure. 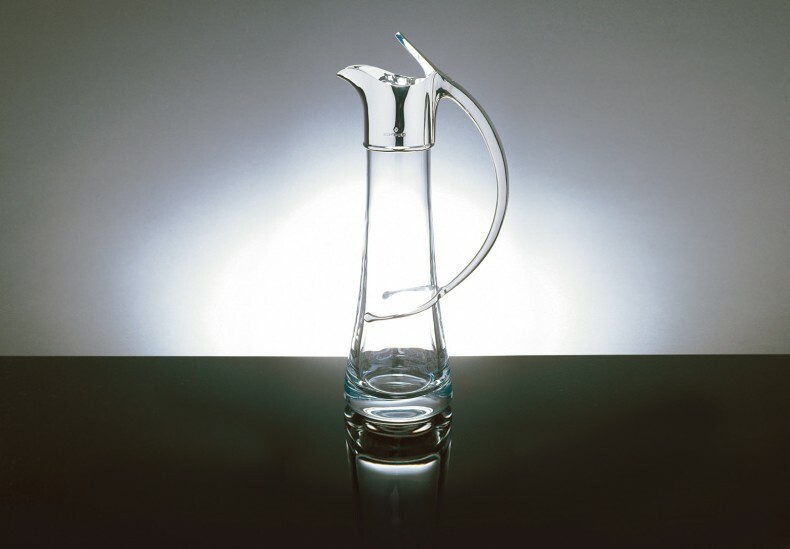 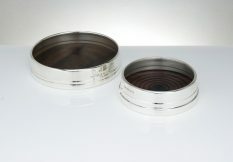 I can make a magnum size to order, as well as a lid-less version as a matching water jug.